I have experienced a few periods of my life that were pivotal to self-awareness, renewal, and divine life. Looking back these were times of special blessings and guidance where I came to think differently and thus change the course of my life. 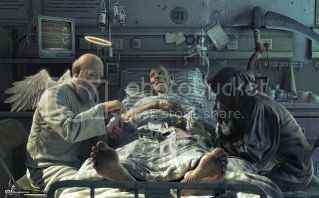 I briefly mentioned in Part 1 of this series about the effect of out of body and near-death experiences on my outlook. As a result, beyond what might have been expected from my history growing up, a spiritual necessity awakened with openness to explore different possibilities. This was a new energy which led me to begin my spiritual search culminating in the path of bhakti. It was a natural endeavor, practically effortless, reminding me now of a verse in the 6th Chapter of Bhagavad Gita, about the future life of an unsuccessful transcendentalist: “By virtue of the divine consciousness of his previous life, he automatically becomes attracted to the yogic principles -- even without seeking them. Such an inquisitive transcendentalist stands always above the ritualistic principles of the scriptures.” [Bg 6.44] And very soon I became self-realized—well, not quite! We learn from Shrila Bhaktivinoda Thakur about the zig-zag process of spiritual advancement, which isn’t a straight line, but is like going up and down the foothills before scaling the largest peak, the final goal. Unfortunately, after learning the basics of Krishna consciousness, my initial furor to understand and live the truth waned, and I mainly plugged in to the temple programs, sometimes mindlessly but overly busy, without taking full advantage of all possibilities for spiritual advancement. In the course of my life as a monk I moved frequently, though I didn’t understand the necessity of introspection and inner growth. As an old expression teaches us, “Wherever you go, you are still there.” Everyone’s life has a current or destiny, and if we don’t progress, or learn as we should, Krishna has His ways to get our attention and push us in another direction. As a consequence of what I see now as Krishna’s direction, my life came to a standstill, like coming to an impenetrable wall, and I had to rethink my life. Outward events after my guru Shrila Prabhupada left the planet also pointed to the necessity to change my living situation. Thus I married, moved outside the temple, and began to earn a livelihood. I had found my spiritual path, and yet, emotionally something was amiss. I was directed to discover what my wife and I today dub, my “authentic illusory self,” manifesting my best possible conditioned self to become the person I was born to be. (I am not speaking of becoming a wizard or savior of the world—though that is a possibility—but following whatever our calling is, and doing what is required to be a balanced, joyful human being and devotee.) For really the first time, at age 31, I began the long quest to understand my nature in this body/mind, not for its own sake, but as a way to stay the course for a lifetime of devotion. I saw devotees give up the path to pursue their calling, or what I have come to see as our “karmic mission,” and I didn’t want to follow that course. This was new territory for me, and I stumbled often, yet kept getting up and trying to go forward. During those years the movement suffered greatly from a lack of experienced elders who could give guidance on how to take up married life and find a suitable occupation. 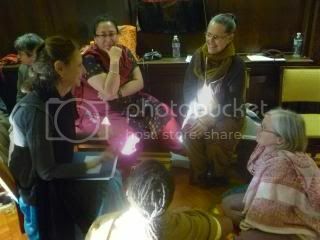 Additionally, considering that many of us came from horrific, or at least not very functional, family situations, we had to make peace with our past, dealing with it in a way that was favorable for bhakti. Even if we consider our family was ideal, that doesn't mean we have no issues to sort out from our childhood and past karma. I find it fascinating that the means Krishna used to get our attention and push us towards His service, often a lot of misery from growing up, also had the potential to waylay us in the future. Spiritual life isn’t escapism where we don’t have to deal with our unhealthy habits or attitudes, but is meant to give us the most effective tools to do so—spiritual practice, or sadhana bhakti. At the same time, many of us need help in seeing those conditioned parts of ourselves that impede our spiritual practices and healthy relationships. The topic of being real came to me as I was reminded of my own struggles and successes in personal growth. 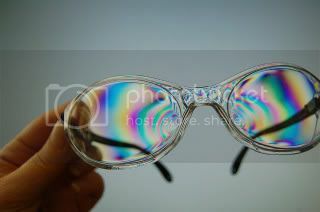 I have observed that everyone primarily suffers due their material conditioning, and colored lenses by which they view the world. A lack of introspection in understanding our biased lens and personal shortcomings creates patterns, or karmic habits, which tend to repeat themselves in our interpersonal dealings. A general tendency is to blame others for relationships problems without thinking that all relationships involve (at least) two persons, both of whom add to the difficulties. As you have likely experienced, conflict between persons increase exponentially when strong emotions trigger reactionary attacks—and even more so when clothed in religious dogma. Additionally, we may notice in others our own faults, being totally blind to their existence within us, and judge them by our standards, not understanding their perspective. Here we can apply an adage Prabhupada would sometimes use: the logic of atmavan manyate jagat, or the fact that everyone thinks of others according to his own position. A modern way of saying this is that we don’t see the world, or people, as they are, but as we are. If more people could remember and apply this idea, we would have much more harmonious and happy relationships. Unfortunately, we are often our own worst enemy in personal dealings. It takes a humble, thoughtful person to be able to hear about their shortcomings, while also considering they might be true. Too often in couples therapy we hear one person—often the man—say in response to an acknowledged bad habit, “That’s just the way I am.” To which I reply, “OK, but is it working for you?” Spiritual life is actually about changing for the better, though change is hard work, and looking at ourselves in full honesty can be overwhelming. After initiation by a guru, at the stage of “anartha nivritti,” or the retiring of unwanted ways of thinking and acting, our conditioning is carefully examined to make it as favorable for bhakti as possible. As it turns out, there isn’t much in the devotional literature exactly how anartha nivritti works in practice, though we are warned by Shrila Visvanatha Chakravarti Thakur, that our anarthas frequently create offenses to saints—or even novice devotees—as well as to the holy name, which stall our spiritual progress. My guru, Shrila Prabhupada has given us general hints. For example, he mentioned that chanting the maha mantra (great chant for deliverance), or the Hare Krishna mantra, is like boiling ghee. To make ghee, we boil butter, and gradually, the milk solids or “impurities” are skimmed off the top. Similarly when we chant we become aware of our material attachments and less than ideal qualities—but then what? Unfortunately, I have experienced in myself, and observed in others, that either we don’t see our anarthas, are blinded by our attachment for them, or we repress them, not knowing what to do. It is most problematic when our anarthas are lifelong perspectives now dressed in, or hidden under, spiritual clothes. This fact points to the importance of having a trusted support system which includes spiritually elevated persons, where one gets honest feedback, and practical wisdom. I have come to see this as the key to spiritual advancement. We all need “reality checks” from time to time to gain some perspective, and hear a different view expressed from genuine well-wishers. I have benefited greatly from input from others, both advanced devotees, and trained, broad minded, spiritually inclined therapists. 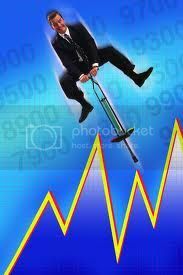 Whatever works to help us not be pulled down by our conditioning. Then we can gradually chant and serve purely--the ultimate solution. Otherwise, we are apt to remain stuck in our ingrained patterns for lifetimes. Submitted by Karnamrita on Tue, 2013-02-12 18:50. 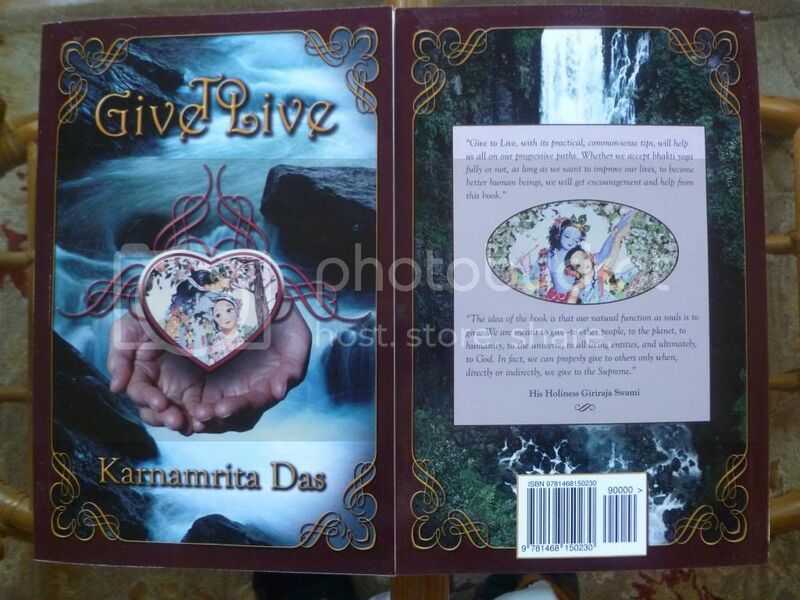 Give to Live is a book of collected blogs from the author's blog on Krishna.com, dedicated to all spiritual seekers looking for the essence of knowledge and divine love. Karnamrita Das has attempted to make the philosophy of Gaudiya Vaishnavism, or bhakti yoga, as accessible as possible for those interested in, or curious about, this tradition, and those who want to deepen their connection to the spiritual foundation and dimension of life. He shares his spiritual journey over 43 years in a very personal way, including both his struggles and successes as a spiritual practitioner, and flawed human being. 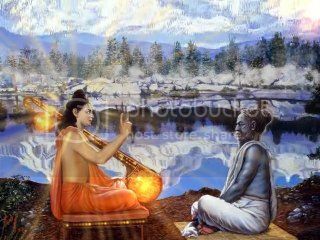 Before and after each blog is a relevant quote from his spiritual teachers, or the Vedic scriptures of India. To begin each piece, a short introduction is given to highlight the salient points, and thus prepare the reader. Each chapter opens with a drawing by Annapurna Devi, and throughout the book are an additional six full page drawings. In the Appendixes useful supplemental material is given, including an extensive Glossary. The title of Give to Live is taken from the entry of the same name. The idea of the piece—and the book—is that our natural function as souls is to give. We are meant to give—to other people, to the planet, to humanity, to the universe, to all living entities, and ultimately, to God. In fact, we can properly give to others only when, directly or indirectly, we give to the Supreme. Amidst sharing his life experiences, the book introduces the reader to Krishna, who in the Gaudiya tradition, is revealed to be the fountainhead of all features of God, or in the words of his teacher, Shrila Prabhupada, "The Supreme Personality of Godhead." To his best ability he has done this in a way that honors other faith traditions. As spoken about in one of the blogs, there is only "One Spiritual System in the Universe," or One God, though seen through many religious lenses. Please check it out on Amazon, as you can read a bit of it by clicking on the book through the "Look Inside" feature, and if it looks good, I hope you might add it to your library. They are short entries for the most part, so you can skip throughout at what interests you, or just read a single piece. Available in paperback and Kindle eBook from Amazon, the books are looking for homes. And if you can also purchase it and other devotional items from Krishna.com, Krishnaculture.com, or in India through Touchstone Media--the links follow. Thanks for your kind consideration.